I will be attempting once new engine is run in, to invoke ALS on my racecar. 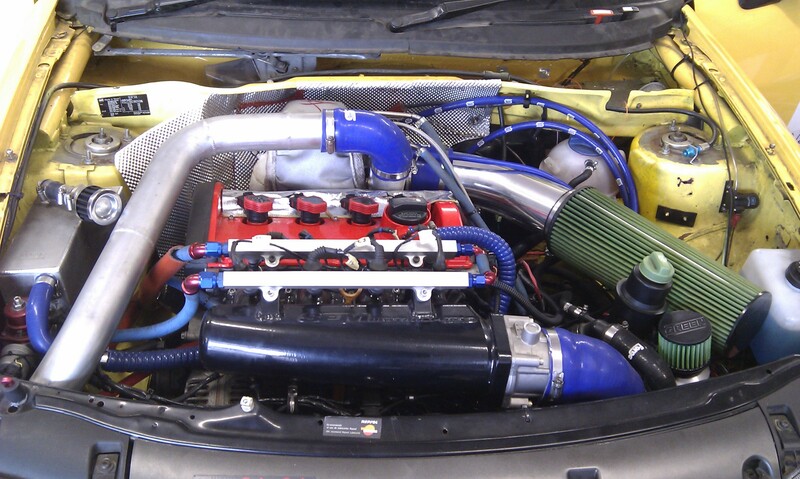 The car in question is a 1.8t Seat Ibiza racecar, running a hybrid GT35 unit.. runs twin injectors, water injection, cams etc etc... a shed load of mods basically. The car is raced in castle combe saloon car c'ship in class A. What I am trying to achieve from the new spec motor, which is higher compression than before.. was 8.5:1, now 9.25:1, is increased off boost and low boost response.. I have also retrofitted vvt off the later 1.8t engines onto mine... I have seen results from others by employing vvt early, then switching off again in improved spool and earlier torque.. VVT on 1.8t being crude, 22deg advance on-off type application I believe. So.. cars running dbw throttle off its stc (large 80mm throttle), and I would like to get some light als working to maintain off throttle response/spool for when I come back onto the throttle out of the chicanes @ combe for example. Anyone got some settings advise on how to approach this carefully..
Can the DBW be programmed to remain partially open to allow air on for the ALS when your foot is off the pedal ? A lot of ecu's just work with a percentage increase or decrease in fuel rather than a fully map. Same with timing, pull x deg of timing when ALS is active. You could try leaving fuel as is, and pull say 20deg of timing on closed throttle and see how that goes. With idle valve open enough that it would maintain 3-4000rpm normally. If it's DTA's STC, then no. You would need to set the "max rpm for idle control" to it's highest setting (3000rpm?) and open the blade the required amount. Probably only need around 5% if it's such a big throttle. I'm sure anti-lag and cruise control etc will follow in time. Have to agree. The blade on my 3.2 V6 is 76mm and I feel that is way too big. I had a 63mm blade on my VR6 turbo and that was more than enough at 500hp. When air is forced into an engine, I don't think throttle size is important. The head flow (valve and port area) are the biggest restrictions, and sometimes the OE intake. Nice build. Liking the Speedflow fittings, which are the best I've used personally. Good numbers for the boost. What's the spec of the 35R? spooled like the normal 35 did, but flows more for same boost..
just changing the hotside for tial vband to eliminate nuts/bolts/gaskets from letting me down. I've heard nothing but good things about the tial turbine housings. Hmmmm, kind of making me want to do another turbo build now! How does yours compare to Garrett's own billet wheel? GTX3582 isnt it? Again, that's a great build. I really like it when people go the extra mile for reliability. i have not seen any precision comp maps, but rumour has it, htx series and other billets are pretty similar in overall peak flow terms.. vague answer sorry. noise *might* be an issue.. not run it yet. its one of the quicker cars when i am out there.. just not out there often as i have so little "me time" unfortunately.